Most of the scuba diving here in Protaras, Cyprus, is done from land but with the Zenobia wreck just down the road and the new wrecks and reefs being sunk, there are more and more opportunities to go Boat Diving. Whether you are diving from a RIB or from a Hard Boat, here are 4 tips that will help you to enjoy your Boat Diving fully. 1. Arrive at the Harbour and/or Dive Centre Early. Don't let that person that turns up late, keeping a whole boat full of people waiting, be you! 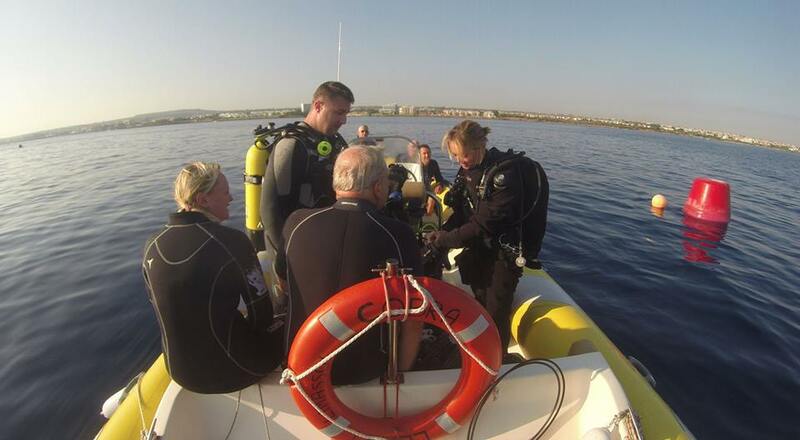 Getting to the Dive Centre early gives you ample time to fill in any paperwork you may need to do and sort out your equipment ready for the dive. There is nothing worse than having to rush to gather your diving equipment or assembling it too fast. This is usually where mistakes happen and things get forgotten. Make sure you can take your time and get it right! Equally, arriving early at the Harbour will allow you to take your time loading the gear onto the boat and means that hopefully, you won't arrive at the Dive Site, which has taken 30 minutes to sail to, while your weights are still sitting patiently on the Harbour wall! It is pretty self explanatory but when you are on a dive boat, there is only a certain amount of space for all the divers and a whole heap of diving equipment. 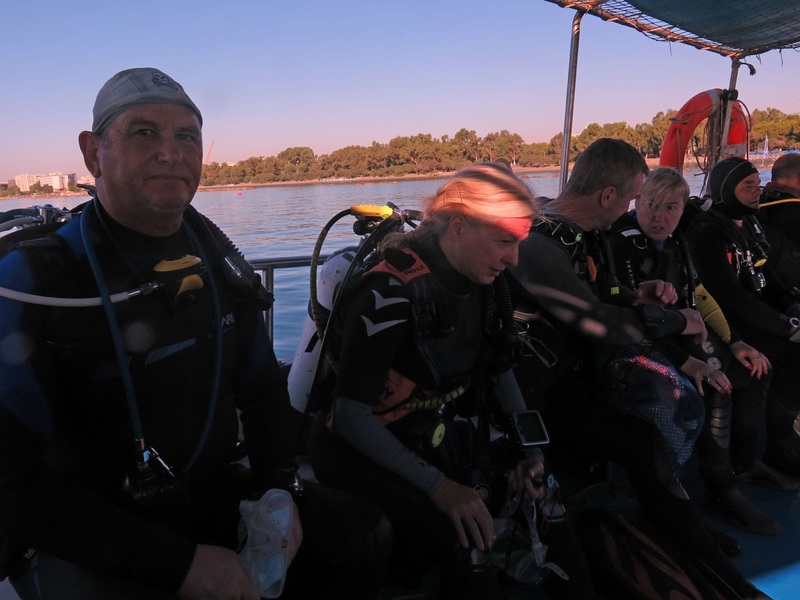 On Larger Boats, we usually try to keep all our dive equipment in a dive bag or box, so it all stays together and doesn't impinge on the space of our fellow divers. On a RIB, this is not quite so easy and protocol can vary, so listen to your dive guide and/or skipper and they will let you know how best to arrange your gear to optimise space and minimise gear getting lost. If you are simply heading out for a single dive on a RIB, chances are your Diving Equipment will already be set up, you will be wearing your wetsuit/drysuit already and you don't have to worry about too much else other than fins, masks, weights and dive computers. However, if you are on a hard boat for a full day excursion, you may also need to consider those things that you will need when you are not in the water. When there is no dry area on the boat, you may wish to consider bringing your own dry bag to keep warm clothes (or just dry clothes) in. This also comes in handy for your mobile phone or tablet to prevent water damage. 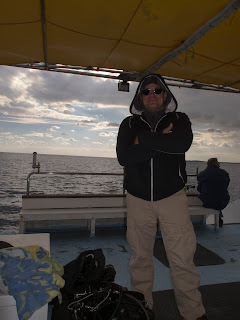 Water for hydration, which is so important when scuba diving, particularly in warmer climes like here in Cyprus. Snacks to keep you going, especially if the boat doesn't provide food for you and you are making multiple dives. Scuba Diving uses a lot more calories than you might think! Of course, there is that all important Sun Cream, which will help prevent the most common injury amongst divers: Sunburn. Even if it is an overcast day, you will want to either cover up or slather on the sun cream (preferably one that is Marine Friendly). Finally, a little cash for snacks, drinks and tips is often useful. Even if you have heard briefings like them a thousand times before, always pay attention to the brief that your dive guide and/or Boat Skipper gives when you get on the boat. Local rules and regulations and individual boat protocols can be different from boat to boat all over the world, so show some courtesy and listen to what you are being told, it makes life easier for the crew, for the dive guides, other divers and of course, for you too. There is nothing too tricky about diving from a boat but, as with all kinds of Scuba Diving, having a little time to prepare and paying attention to the procedures used each time will mean you can sail through those Boat Dives.